Prof. Shuao Wang received his B.S. from University of Science and Technology of China (2007) and Ph.D. from University of Notre Dame (2012). After conducting the postdoc research at Lawrence Berkeley National Lab and University of California, Berkeley, he became a professor and the director of Center of the Nuclear Environmental Chemistry at Soochow University, China (2013). Prof. Wang has published more than 140 journal articles with a H-index of 35, and two book chapters in radiochemistry. 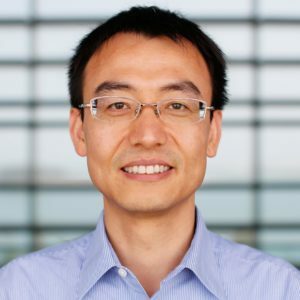 He is the recipient of the Young Investigator Award from American Chemical Society, Division of Inorganic Chemistry in 2012, the Young Chemist Award from Chinese Chemical Society in 2016, and the National Science Fund for Distinguished Young Scholars from National Science Foundation of China in 2018. The research of his group involves in the areas of solid state chemistry, materials chemistry, separation chemistry, and environmental chemistry of the key radionuclides in the nuclear fuel cycle. Your recent Emerging Investigator Series paper focuses on the impact of cation-cation interaction on the geochemical behaviour of lanthanides and actinides. How has your research evolved from your first article to this most recent article? My first article was published ten years ago during my PhD study under the supervision of Prof. Thomas Albrecht-Schmitt at the University of Notre Dame, which documented the first chemical synthesis and characterizations of transuranic element (neptunium and plutonium) borate compounds. This research made me fall in love with the research of chemistry of radioactive elements. 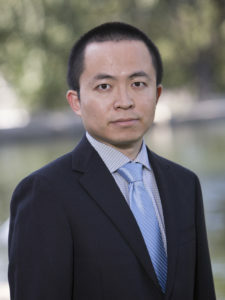 During the past five years of my independent career at Soochow University in China, my group has been focused on the materials chemistry, separation chemistry, and environmental chemistry of the key radionuclides in the nuclear fuel cycle, aiming at overcoming several critical scientific challenges on used nuclear fuel repossessing, nuclear waste disposal, and nuclear accident responses. These researches are in a more practical manner, in comparison with those purely curiosity-driven researches in radiochemistry during my PhD and postdoc periods in US. Some of the materials and strategies developed by us have found practical applications in the environmental radioactive remediation, used nuclear fuel partitioning, waste geological disposal, and emergency responses during the nuclear accidents. In either nuclear fuel cycle or environment relevant to the nuclear waste disposal, the chemical systems are extremely complicated often with the combined conditions of high acidity/alkalinity, strong radiation field, and huge excess of coexisting cations/anions (high ionic strength). How to design functional materials with sufficient stabilities to survive from these conditions and at the same time can selectively recognize specific radionuclides is significantly challenging and remains highly desirable to be explored in both scientific and technique manners. The critical challenge of our research is the chemical complexity of the radioactive elements in nature especially actinides (i.e. chemical bonding, redox chemistry, coordination etc. ), the scarcity of related researches owing to the operational limitation on radioactive substances, combined with the chemical system complexity we are looking at. I will attend the 2019 Orlando ACS meeting (March 31- April 4) and give a talk on our recent works in the Seaborg Award Symposium in honor of Prof. Thomas Albrecht-Schmitt. Hiking, reading, and video gaming sometimes. Maybe a video game designer or a singer. Choose the most challenging topic in your field to study, devote as much time as you can, and publish your results in the most suitable journals that attract the right reader communities in your early career. Dr. Yu (Frank) Yang received his Ph.D. from Peking University (China) in 2010. After that, he spent three years for postdoctoral projects at Yale University and University of Notre Dame. 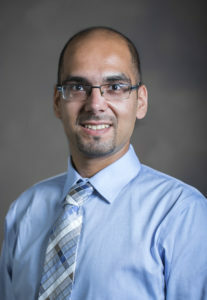 He started his independent career in Fall 2013, as an assistant professor in the Department of Civil and Environmental Engineering at University of Nevada, Reno. His research is focused on the fate of carbon and emerging contaminants in redox cycles, including carbon stability in soil environment, microbial degradation and plant uptake of carbon nanotube, and biochar-facilitated microbial degradation of emerging organohalogen. His group also applied fundamental environmental chemistry to the area of water reuse. Your recent Emerging Investigator Series paper focuses on quantification of multiwall carbon nanotubes in plant tissues with spectroscopic analysis. How has your research evolved from your first article to this most recent article? Quantification of carbonaceous nanomaterials in complex environmental media is important for managing their application and understanding the environmental implication, but challenging. In our first article in this area, we have applied Raman spectroscopic analysis for detecting carbon nanotube in plant tissues with limited quantitative information. Then, through coupling digestion with programed thermal analysis, we have developed quantification for carbon nanotube in our recent EST Letter paper. In this Emerging Investigator Series paper, UV-vis spectroscopic analysis was used to quantify carbon nanotubes in various plant tissues (leaf, stem, and root), which can potentially enable widely-applied and rapid quantification for this important engineered nano particles. Currently, we are exploring application of carbonaceous nanomaterials in agriculture, such as enhancement of photosynthesis, sensor for nutrition/water status and others. Hopefully, we can develop some exciting applications of carbonaceous nanomaterials in agriculture, food and water areas. To my mind, it is important to quantitatively evaluate the distribution and fate of engineered nanoparticles in soil-plant systems and develop cost-effective application for urgent needs in the area. Carbon nanotubes are primarily composed of carbon, as similar as biological (plant) materials. To minimize the influences of environmental matrix but still maintain the recovery and reasonable detection limit is the most challenging part in our research. I will present related work in the upcoming 2018-2019 SSSA International Soils Meeting, “Soils Across Latitudes,” on Jan. 6-9, 2019, in San Diego, California. My colleagues and I will also chair a symposium of “Nanotechnology at the Water-Agriculture-Energy Nexus” in Spring 2019 ACS National Meeting on Mar 31–Apr 4 in Orlando. When I am free, I enjoy watching movies, playing chess, reading books, and spending time with family. I think a possible alternative career for me is a high-school teacher. At this point, I would say “persistence” is most important. Dr Amir M. Farnoud obtained his Ph.D. in Chemical and Biochemical Engineering from the University of Iowa in 2013, followed by post-doctoral training in Microbiology at SUNY-Stony Brook in 2015. He joined the department of Chemical and Biomolecular Engineering at Ohio University in 2015 where he is currently an Assistant Professor. Dr. Farnoud’s research is focused on biological interactions of engineered nanomaterials, primarily their interactions with the cell plasma membrane. Outside of research, Dr. Farnoud is an avid chess player and is the former state champion of the state of Iowa. Read about Dr. Farnoud’s research and follow him on Twitter. Your recent Emerging Investigator Series paper focuses Interactions of Engineered Nanomaterials with the Cell Plasma Membranes. How has your research evolved from your first article to this most recent article? My early work as an independent researcher, as well as my graduate work, focused primarily on nanoparticle interactions with lipid monolayers as a model for the pulmonary surfactant. The first article out of my lab, in which we examined the interactions of e-cigarette vapor particulates with the pulmonary surfactant, was focused in this area. However, I have gradually become more and more interested in nanoparticle interactions with the cell plasma membrane. I have noticed that while a number of mechanistic studies on nanoparticle-plasma membrane interactions exist, they have primarily focused on changing particle properties while using simplistic membrane models. In my group, we have focused on not only on the role of nanoparticle properties, but also on understanding the role of the membrane model in regulating nanoparticle-membrane interactions. This has started from our earlier work (Asghari Adib et al. 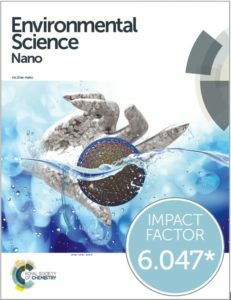 Environmental Science: Nano, 5 (2), 289-303; featured on the cover of ES Nano in February of 2018) in which we compared different membrane models in how they interact with nanoparticles, to the current Emerging Investigator article, to our work in progress in which we have used slightly more complicated, but more physiologically-relevant models. We have found that by making the membrane model more realistic, we are able to better predict nanoparticle toxicity to live cells. This is very exciting because it will help in the prediction of the toxicity of novel nanomaterials toward biological entities. I think a better understanding of how findings from membrane models can inform studies in cells is really needed to move the field forward. While models are very useful to tease out the underlying phenomena governing nanoparticle-membrane interactions, it is important to make sure that findings from models will be relevant in cells. This is probably something that can only be addressed by parallel studies, which examine both membrane models and cells. In addition, I think the role of the biomolecular corona in regulating nanotoxicity is something that researchers have rightly focused on and will continue to remain an important question in the future. When I was a graduate student, I was told that “novel research is often focused at the interface of two fields”. That statement is generally true, but working at the interface of two research fields is never easy, there is always something on the biological side or the material side that we don’t know and need to learn. While this is enjoyable and part of the natural growth process of a researcher, it can also be challenging and frustrating at times! I am expecting a busy year in terms of conferences. I am planning to be at the 2019 Annual Biophysical Society meeting, the Spring 2019 ACS National Meeting, and the Gordon Conference on Environmental Nanotechnology. Most of my free time is devoted to improving my chess skills. I also enjoy running and physical exercise. My wife and I also like to try different cuisines and coffees from around the world. Probably a professional chess player. I have always been amazed by the beauty and complexity of chess and I am still considering this as my post-retirement career! Most of early career scientists probably already know this, but it is worth repeating: Hard work always beats talent! The world of academic research can be full of rejections, from papers to grants. As an early career scientist, it is important to stay resilient in the face of difficulties, keep your motivation high, and work hard. All shining stars in all fields of research started out as early career scientists! 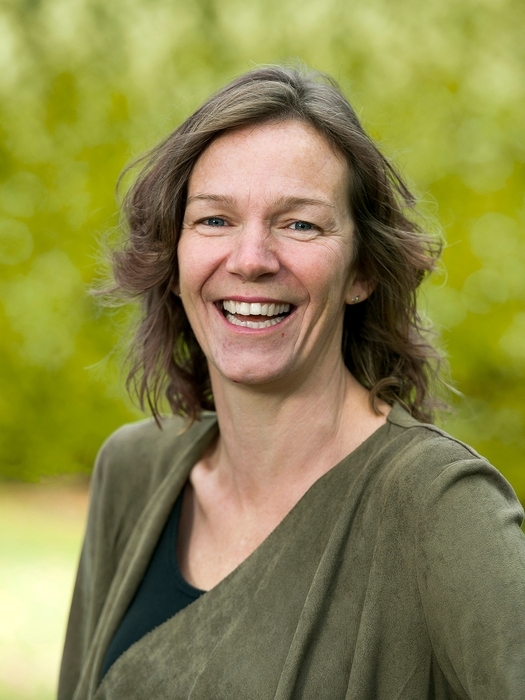 Prof. Dr. Martina G. Vijver works at Leiden University, the Netherlands. Her research field is in Ecotoxicology. An important milestone in her research career was receiving a VIDI grant (2014) from NWO. The focus is on nano-ecotoxicology. She currently supervises eleven PhD-students, nine of whom have already defended their theses successfully. In 2017, she got the EU Horizon 2020 project PATROLS funded that aims to establish and standardize a battery of innovative, next generation physiologically anchored, hazard assessment tools that more accurately predicts adverse effects caused by long-term (chronic), low dose ENM exposure in human and environmental systems to support regulatory risk decision-making. Another milestone is the NWO ASPASIA grant (2013) that she received to quantify joint effects of mixtures of chemicals with low concentrations on aquatic communities. Prof. Vijver participates in eight different EU –FP7 and Horizon 2020 projects. She has over 110 peer reviewed scientific articles. She does a lot in outreach of the scientific results, performing in public lectures, giving tours and courses to school-children and having websites for the main public and for policy www.pnecpro.com and www.bestrijdingsmiddelenatlas.nl communicating about science. A notable award is the recently obtained World Cultural Council (WCC, 2017) Special Recognition Award, for research with an impact on society. Your recent Emerging Investigator Series paper focuses on bioavailability modeling of nanoparticles and the impact of particle size distribution. How has your research evolved from your first article to this most recent article? During my PhD (2005) I wrote a thesis entitled The Ins and Out of Bioaccumulation. This taught me that we should account bioavailability as a three step process in which exposure, uptake and toxicity are the principle processes that we need to understand. On top of that, each of these processes have their own dynamics. This is true for chemicals but also for nanomaterials. And currently we know that it is even more complex for nanomaterials because they are inherently a mixture of chemicals and colloids and that those come with different size distributions. Well that is a question to unravel step-by-step. That we could track non-modified metallic nanomaterials within alive organisms. That we are modelling the relative contribution of metal ions versus particles to account for the dynamics in exposure. This way we can start to understand the chemicals as well as the colloidal impacts in nano-ecotoxicology. In your opinion, what is the biggest challenge in developing mechanistic-based modelling for nanoparticles? The quantification of uptake, biodistribution over time to account explicitly for the correct dynamics in exposure. Long-term, low-level exposure of ecosystems to engineered nanomaterials will be the reality for many environments. Current approaches lack environmental realism in terms accounting fate, of dose delivery, exposure duration and uptake through food chains as well as ecological effects. You can often find me at SETAC Europe. I spend my spare time with my 9 year old son and 6 year old daughter. I play tennis as a sport, and am the assistant coach of my son’s soccer team. I am interested in many different jobs as long as it is creative. Follow your passion, and try to work with people who give you energy. Watch the clip below to hear Professor Vijver discuss her research aims on the dynamics of particle size distribution. 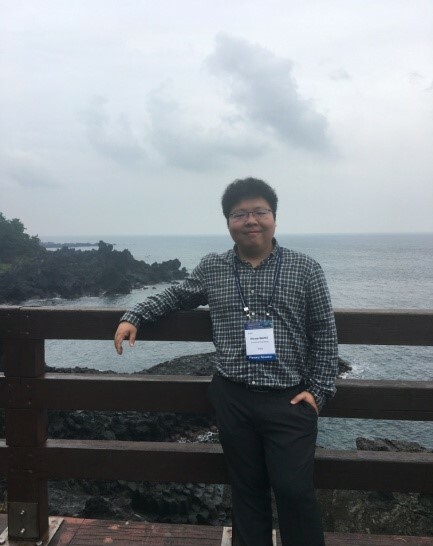 We are delighted to introduce our latest Environmental Science: Nano Emerging Investigator, Jingkun Jiang! Dr. Jingkun Jiang is a professor at School of Environment, Tsinghua University. He received a BS and a MS in Environmental Science and Engineering from Tsinghua University. He holds a PhD degree in Energy, Environmental and Chemical Engineering from Washington University in St. Louis. 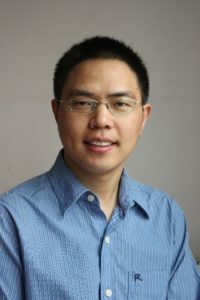 Prior to joining Tsinghua in 2010, he worked as a Postdoctoral Research Associate in the Particle Technology Laboratory of Mechanical Engineering Department, University of Minnesota. 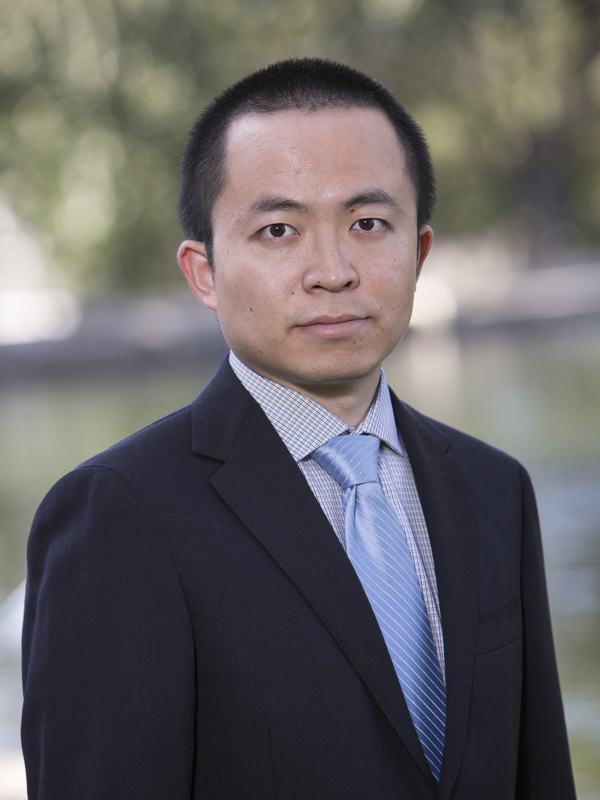 Dr. Jiang’s research activities involve various topics in aerosol science and technology. He has published 90 peer-reviewed journal articles. 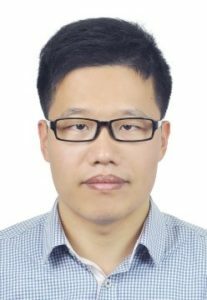 He received a number of awards including Smoluchowski award (2018), Asian Young Aerosol Scientist Award (2015), and A&WMA Doctoral Dissertation Award (2009). He is serving as an editor for Aerosol Science & Technology, a guest editor for Atmospheric Chemistry & Physics, an editorial board member for Journal of Aerosol Science, and the deputy director for State Key Joint Laboratory of Environment Simulation and Pollution Control. Your recent Emerging Investigator Series paper focuses on environmental hydrogen peroxide detection using a nitrogen doped carbon nanoframework. How has your research evolved from your first article to this most recent article? My first article as the leading author is entitled “model for nanoparticle charging by diffusion, direct photoionization, and thermionization mechanisms”. Over the years, our research activities have involved various topics in aerosol science and technology: aerosol instrumentation; particle formation and emission from combustion sources; atmospheric new particle formation; synthesis and application of aerosol nanoparticles; aerosol nanotoxicology; metagenomics of airborne microorganism. The most excited aspect is to work with talented students to address questions that have puzzled me and others for years. In your opinion, what is the biggest advantage of the presented method for the detection of H2O2 over traditional methods? A grand challenge for many disciplines is to develop/adopt emerging data acquisition technologies (e.g. sensors) and big-data analysis. In comparison to traditional methods, the presented method is an example towards this direction using nanotechnologies. Finding a balance between working (research, teaching, and service) and spending time with family. Spending time with family and playing with kids; biking; traveling. Understand that the challenges can be different when working in different countries and stay focused at the beginning. Dr. Gilbertson is an Assistant Professor in the Department of Civil and Environmental Engineering at the University of Pittsburgh. 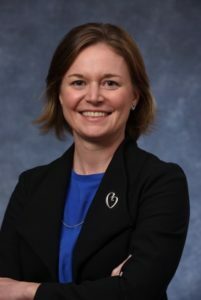 Before joining the faculty, Dr. Gilbertson was a postdoctoral associate in the Center for Green Chemistry and Green Engineering at Yale University where she focused on elucidating and validating engineered nanomaterial structure-property-function and structure-property-hazard parametric relationships. She received her MS and PhD degrees from Yale University in the Department of Chemical and Environmental Engineering, supported through an NSF Graduate Research and EPA STAR Fellowships. She received her bachelor’s degree in chemistry with a minor in education from Hamilton College in 2007, after which she spent several years as a secondary school teacher before returning to graduate school. Her research group at the University of Pittsburgh is currently engaged in projects aimed at informing sustainable design of emerging materials and technologies proposed for use in areas at the nexus of the environment and public health. Dr. Gilbertson is the recipient of the 3M non-tenured faculty award and the Ralph E. Powe Junior Faculty Enhancement Award. To find out more about her research group, please visit leannegilbertson.com and follow her on Twitter @lmgLab. Your recent Emerging Investigator Series paper focuses on support for particle-specific contributions to silver nanoparticle antimicrobial activity. How has your research evolved from your first article to this most recent article? Silver is a fascinating element, particularly when it takes the form of a nanoparticle and we start manipulating particle parameters such as size, shape and surface chemistry. To date, we are unable to predict the complex behavior of silver nanoparticles when they are introduced into natural (and even laboratory) systems. Yet, the ability to do so has the potential to advance innovative solutions to relevant global challenges. One particular challenge central to this current work is the rise in antimicrobial resistance. We are tackling fundamental questions surrounding the chemical behavior of silver nanoparticles in biologically relevant systems. Ultimately, we seek to better learn how to leverage particle design to tune behavior for different applications. Our work published earlier this year in ES: Nano highlights the influence of different biological growth media chemistries on the evolution of silver ion release and particle surface chemistry, which differentially impacted the measured cytotoxicity of silver nanoparticles. This Emerging Investigator Series paper aims to bridge the fundamental science and applications of silver nanoparticles by identifying open questions surrounding how particle parameters influence cytotoxicity and important methodological considerations towards isolating contributions of the nanoparticle and the released ions. Informed by findings from this study, we are experimentally targeting specific particle parameters to better resolve the multi-faceted, dynamic interactions between silver nanoparticles and microbial systems. Findings in this paper identify key gaps in our mechanistic understanding of silver nanoparticle-bacteria interactions. These gaps hinder our ability to rationally design nanoparticles and tune properties for different applications. As a result of this work, we now have an experimental roadmap to pursue research that fills these gaps and answers critical fundamental research questions. Pursuing these questions will have significant influence on how we use silver nanoparticles as antimicrobials, having a positive impact public and environmental health. In your opinion, what is the biggest advantage of using nanoparticles for antimicrobial agents? Nanoparticles have multiple facets (size, surface chemistry, shape) that we can control and there are many possible combinations of the particle parameters to explore for enhancing antimicrobial selectivity and efficacy. The antimicrobial properties of silver nanoparticles, in particular, are what makes them so attractive for use in wide ranging applications such as coatings for medical devices and food preparation surfaces, incorporation into wound dressings, antifoulants, and disinfectants in water treatment. In addition, nanoparticles introduce the ability to deliver multiple mechanisms of action to a target organism, which is of particular interest to designing solutions that combat antimicrobial resistance. A lot has been learned from the ‘antimicrobial age’ in terms of what not to do. The design of next generation antimicrobials must be grounded in fundamental science and consider human behavior. We are not suggesting that nanoparticles will be a drop-in replacement for chemical antimicrobials, rather that we need to be thoughtful about how we design them, where and how we use them. The most challenging and exciting aspect of this research is working with a complex and unpredictable material system in a complex and oftentimes ill-defined biological system. There are many factors to consider in trying to isolate particle influences on cytotoxicity, which involves extensive analytical characterization and makes designing experiments particularly challenging (just ask my student and lead author, Lisa!). Another challenge is the fact that silver nanoparticles have been extensively studied and therefore, it is assumed that we know everything there is to know about silver nanoparticles in environmental and biologically-relevant systems. A primary motivation to pursue the research described in this Emerging Investigator Series paper was to show the exciting and important research questions that remain. There is still much to learn mechanistically about how these particles behave and this information is necessary to inform how to intentionally manipulate the material based on the exposure environment and intended application. I always enjoy meeting new people and catching up with colleagues at conferences. This fall I will be co-chairing a session at the upcoming ACS national meeting in Boston August 19-23, 2018. I will be presenting at my first AIChE annual meeting, which will be held here in Pittsburgh October 28-November 2, 2018. I also look forward to participating in the Sustainable Nanotechnology Organization conference November 8-10, 2018 in DC and the QEEN II workshop October 9-10, 2018 in DC. In my ‘spare’ time, I enjoy running, gardening, and anything that enables me to spend as much time outside as possible. The outdoors and physical activity help clear my mind and recalibrate. Teaching. This is kind of a cop out because I get to do this now, but it is only one part of my job. I find it incredibly rewarding to motivate and inspire others through science and to work with and mentor students. I taught high school chemistry and coached soccer and lacrosse before going to graduate school. This was one of the most enjoyable jobs I’ve ever had. Scientists and engineers are inherently curious and interested in solving problems. My advice would be to find a project that you are truly interested in so that your inherent curiosity motivates the work you do. Prof. Liwu Zhang joined the Department of Environmental Science and Engineering at Fudan University in November 2014. Prior to his faculty appointment, he did his postdoctoral work under the supervision of Prof. Jeremy J. Baumberg (FRS) at the Nanophotonics Centre in Cavendish Laboratory and collaborated with Dr. Erwin Reisner from the Department of Chemistry at University of Cambridge. Before that, he was an Alexander von Humboldt Research Fellow under the supervision of Prof. Detlef Bahnemann in the Hannover University. He received a PhD in Chemistry from Tsinghua University under the supervision of Prof. Yongfa Zhu. He is a recipient of the Marie Curie Intra-European Research Fellow award. He has over a decade of experience in environmental chemistry and a strong background in environmental nanotechnology and has published more than 50 highly cited papers in this field. His work have been cited for >3000 times, and he has an h-index of 25. Your recent Emerging Investigator Series paper focuses on heterogeneous reactions of sulfur dioxide on mineral dust nanoparticles. How has your research evolved from your first article to this most recent article? My first article focused on fabricating nanoparticles for photocatalytic pollutants decomposition. Before I joined Fudan University in 2014, most of my research work were related to photocatalysis for environment and energy application. In 2014, I went back from UK to China and begun my independent research career, it was also the time that haze problem was very serious in China and attracting wide public attention. I am very curious about the chemistry process during the formation of particulate matters (PM2.5) in the atmosphere. The heterogeneous reaction plays an important role in the formation and growth of PM2.5. Therefore, I started my research in this field, as reported in this Emerging Investigator Series paper. Find the reason and make the sky blue again in China. In your opinion, what is the most important environmental implication of heterogeneous reactions of sulfur dioxide on mineral dust nanoparticles? Formation of sulfate aerosols through heterogeneous conversion of SO2 is of great concern worldwide; however, the detailed mechanism is still not comprehensively understood. Particles in haze are complex mixtures comprising various species, and limited attention has been paid to the heterogeneous oxidation of SO2 on multi-composition aerosols up to now. This work could help understand the adsorption of SO2 on multicomposition aerosols and provide important parameters for atmospheric chemistry models. Sensitive in situ techniques for the study of heterogeneous reaction. Conference on Environmental Science or Environmental nanotechnology. Play with my 3 years old daughter and 10 months old son. We are delighted to introduce our first Environmental Science: Nano Emerging Investigator of 2018, Peng Wang! Professor Peng Wang is currently an associate professor in the Environmental Science and Engineering program at KAUST. He received his Ph.D. degree from the University of California, Santa Barbara (UCSB) in 2008 and started his independent research as an assistant professor at KAUST in 2009. His research focuses on rational design, synthesis, and application of nanomaterials toward sustainable-energy driven clean water production. 1. Your recent Emerging Investigator Series paper focuses on the rise of photothermal materials for clean water production. How has your research evolved from your first article to this most recent article? Solar-driven water evaporation and distillation is an ancient technology, but has been rejuvenated in the past four years thanks to the contribution from nanotechnology. I did not work on this until early 2015. Ever since, my group has been working on photothermal nanomaterial selection and optimization along with photothermal structural design. Our first paper on this topic was in July 2015 in which we reported a solar-to-water-evaporation efficiency of 56%. In our latest work, we could achieve a nearly 100% energy efficiency. We have very recently extended our research on photothermal materials into new applications, including atmospheric water harvesting, highly viscous oil spill cleanup, smart windows, etc. 2. What aspect of your work are you most excited about at the moment? The potential to produce more energy efficient water production/treatment technologies and to bring benefits to the society. 3. In your opinion, what is the biggest advantage of solar-driven nano-enabled clean water production over traditional methods? The CO2 emission free is the biggest advantage of solar-driven nano-enabled clean water production. It also offers hope towards green and zero-liquid discharge desalination processes. 4. What do you find most challenging about your research? Scaling up of the technologies is very challenging as cost consideration along with other unexpected problems often come along and frustrate me. 5. In which upcoming conferences or events may our readers meet you? I will be attending IWA LET at Nanjing this may and Gordon Research Conference on Solar Energy Conversion at Hong Kong in June. I, along with my colleague, Professor Suzana Nunes, are putting together a symposium on Nano-Enabled Water Technologies: Opportunities and Challenges, to be held at KAUST tentatively in March 2019. I do and enjoy regular mid-distance running and play regular badminton games with friends. 7. Which profession would you choose if you were not a scientist? Probably a lawyer, which is my wife’s profession. Haha, I actually never give this possibility any serious thoughts. 8. Can you share one piece of career-related advice or wisdom with other early career scientists? Environmental Science: Nano is pleased to announce the launch of an Emerging Investigator Series, aimed at highlighting some of the best research being conducted by early career scientists in the field of environmental nanotechnology. This Series complements the Emerging Investigator Series in our sister journals, Environmental Science: Water Research & Technology and Environmental Science: Processes & Impacts, which are already providing early career environmental scientists with a high-quality, society platform to showcase their best research to a broad audience. Articles published in the Series will be heavily advertised, including an interview with the lead author on our blog, highlighting in our table of contents alerts and further publicity. The Series is ongoing, with articles being published once they are accepted and collated online, meaning that there are no submission deadlines. A synopsis or abstract of the article intended to be submitted to the Series, including a tentative submission date. This can be an original research or review article. Please visit the journal website for more details on article types. All articles submitted to the journal for the Series will undergo the usual peer-review process. You are currently browsing the archives for the Emerging Investigators category.